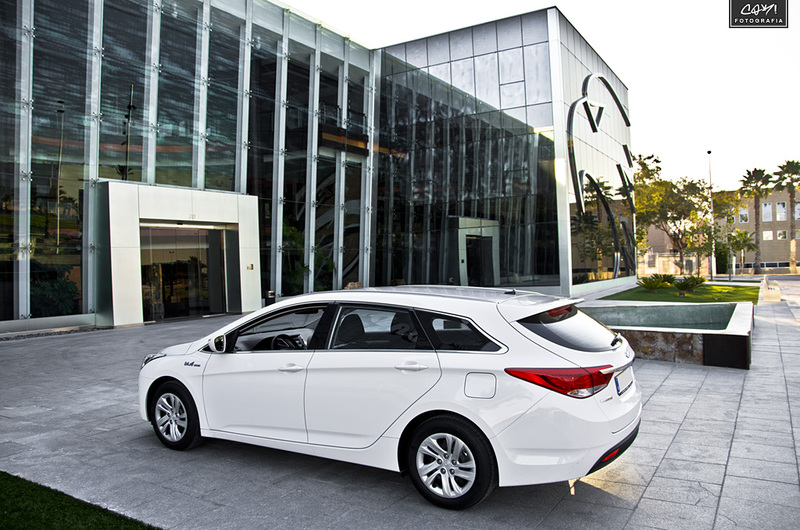 When Hyundai shows the sixth generation of the Sonata at the 2009 LA Auto Show (codenamed YF), everyone thought that this D-Segment full-size sedan would be the new insignia from the Korean automaker around the world. But finally, we were wrong. The Sonata was sold in some markets, like US, Chile, Australia (using the nomenclature i45). Perhaps, Hyundai thought another strategy for the European market and decided to design and create, thanks to his European R&D Center in Rüsselsheim (Germany), this i40. 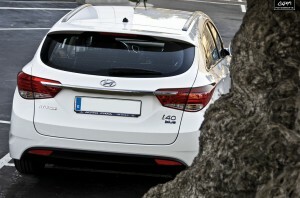 Based in the Sonata’s platform, the i40 debuted at the 2011 Geneva Motor Show with the estate version (Hyundai calls CW – Crossover Wagon –) and subsequently as a saloon version. 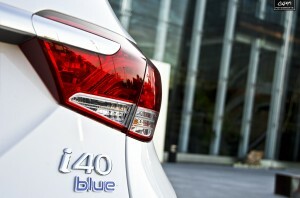 The i40 is manufactured at the Ulsan plant in South Korea. 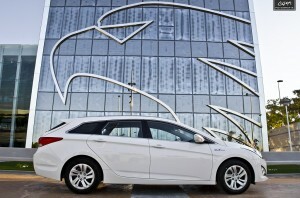 The estate variant of the i40 was released in Europe and South Korea in September 2011 and it was followed by a sedan variant in January 2012, and is also available in Australia and New Zealand (coexisting with the i45). 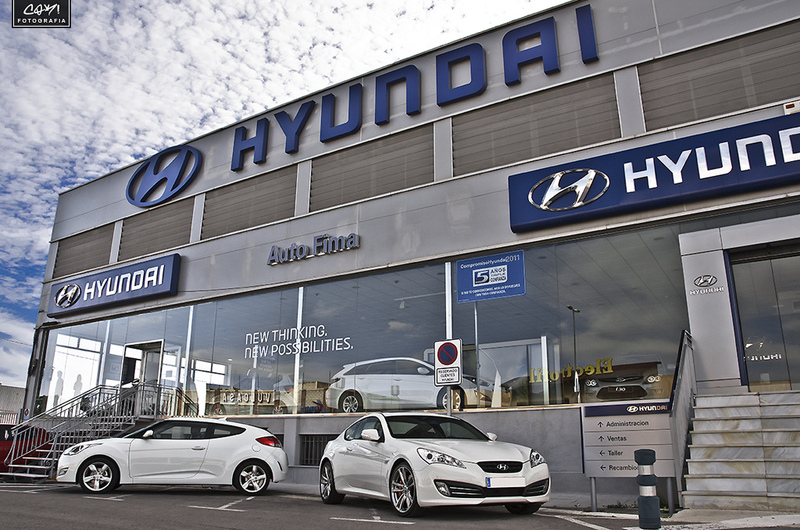 In South Korea, the i40 also coexist with the Sonata (that it’s available with three petrol engines, 2.0 , 2.4 GDi and 2.0 T-GDi, with 163, 201 and 274 hp respectively) and sold as “The European Premium” with a CRDi diesel 1.7 engine with 136 hp (as our test car) and direct injection petrol 2.0 engine with 177 hp. 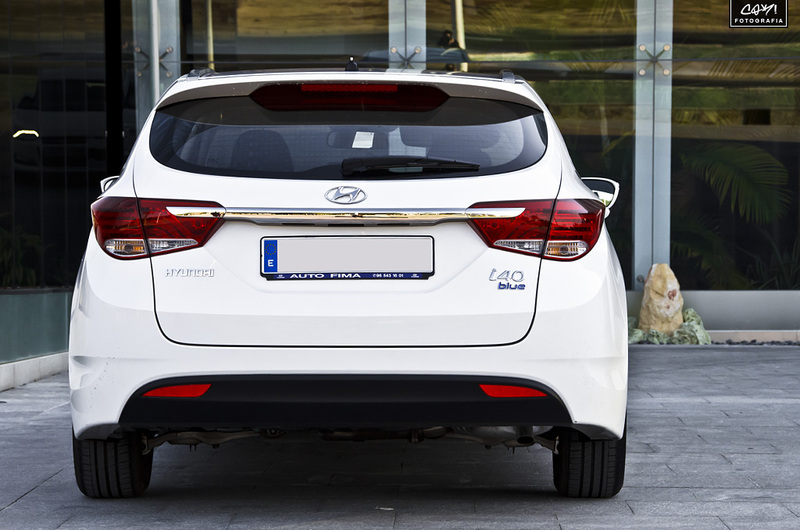 Penned under the watchful eye of Hyundai’s chief designer, German born Thomas Bürkle, the i40 Tourer is a stunning looking vehicle from any angle. Far more European in its styling than any other design from the Korean manufacturer, the view from the rear three-quarter angle is especially pretty. 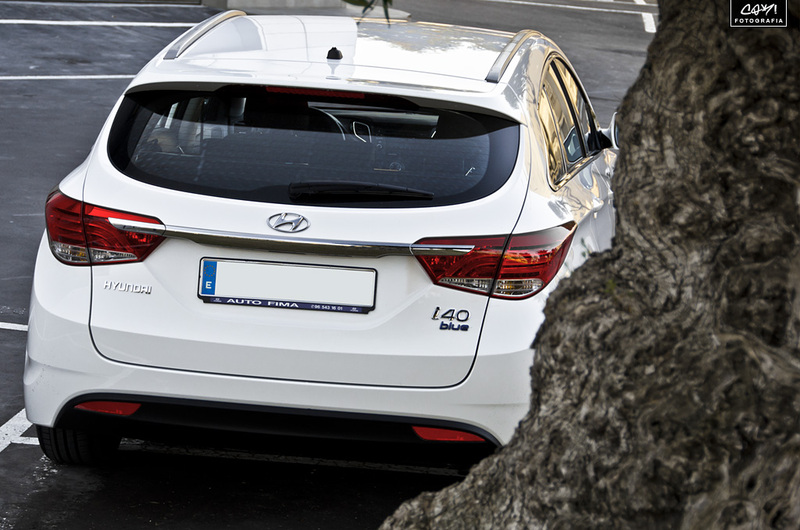 Hyundai is the first to admit the i40 Tourer has been designed and created with Europe in mind. The 28 EEC markets that the company operates in have so far accounted for 208,000 units this year, and are on track to achieve a total of 360,000. Those numbers translate into a 2.8 per cent market share and while that’s significantly down on the global share figure, it also highlights the level of growth possible on the continent and the importance of the Euro-styled i40 to push those numbers and share further north. So far we only could get on the i40 CW. It is a sedan, pleasant to drive because of its suspension, direction and its good soundproofing; noises from the engine can barely be heard, only while driving at high speed some whistles can appear because of wind against the windscreen wipers —it is not even close to be something annoying—. Suspension smooths the flaws of the road. Although it is not soft, it is not hard enough to face hard curves —the car sways a little bit at high speed—. Holding the wheel feels good, though. 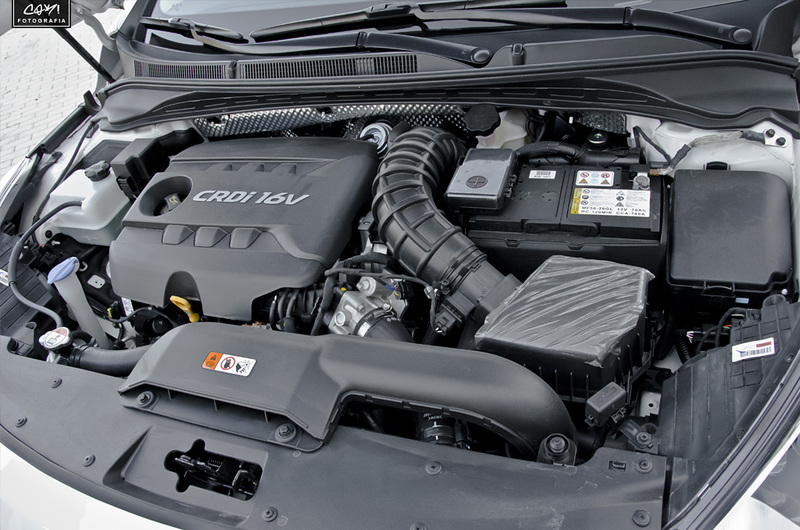 The engine, diesel 136 hp, is smooth, quiet and without vibrations, but, in my opinion, it is somehow lack of strength to move the i40 CW easily. This unpleasant feeling gets worse in the automatic mode, since it does not reacts quickly for changing gears down while acceleration is needed. It does show a charming motion; passenger cannot notice it changes from one gear to other one. Despite its small lack of strength, specially noticeable when passings are needed in short time, this engine will suit most potential owners, as it answers properly the needs for a normal driving. The car I could try in the presentation made me believe it will break perfectly when the time comes. Anyway, to say breaks are really, really good, I would need to try it again in a more requiring situation. Visibility could be better, because the windscreen pillar are pretty wide and also because the size of the rear windows is too small. Rear view mirrors make this problem less relevant, though. 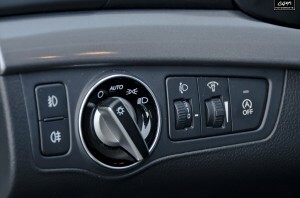 There are some versions with certain modes to make the gas consumption lower. For instance, a system to pull over and start the engine («ISG») when the car stops. Also, tyres with low friction to the axis, and a front grille for the refrigeration that, when stays closed, enhances the aerodynamic. All of these versions include either 115 hp or 136 hp. These versions are called «Blue Drive», «Blue Drive City» and «Blue Drive Tecno» —the difference between them is certain equipment—. 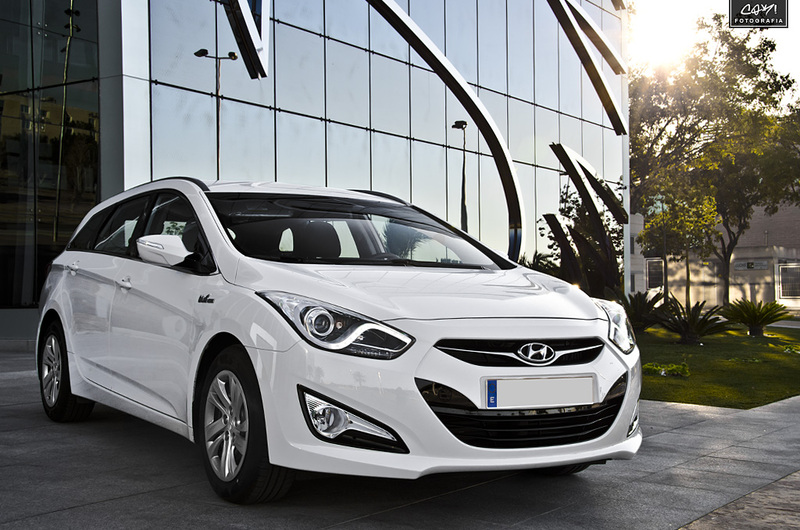 The second one is only available in the i40 Sedan. 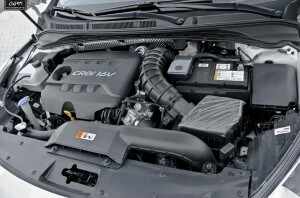 Its low consumption is 4.3 l/100 km in the 115 hp (i40 Saloon) and 4.5 l/100 km in 136 hp (i40 Sedan and i40 CW). In both cases, it is a low level, similar to other sedans of similar size and power, and also to other touring cars. 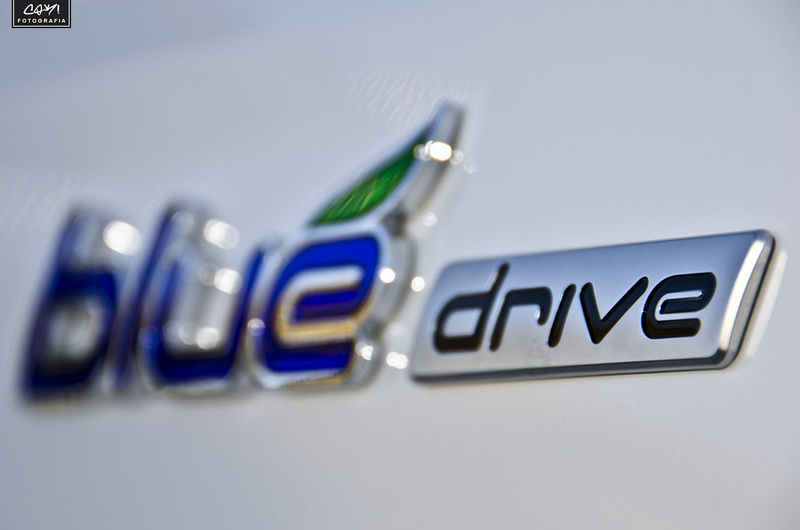 Without «Blue Drive», the average consumption is 5.0 l/100 km in manual transmission and 6.0 l/100km in automatic transmission. 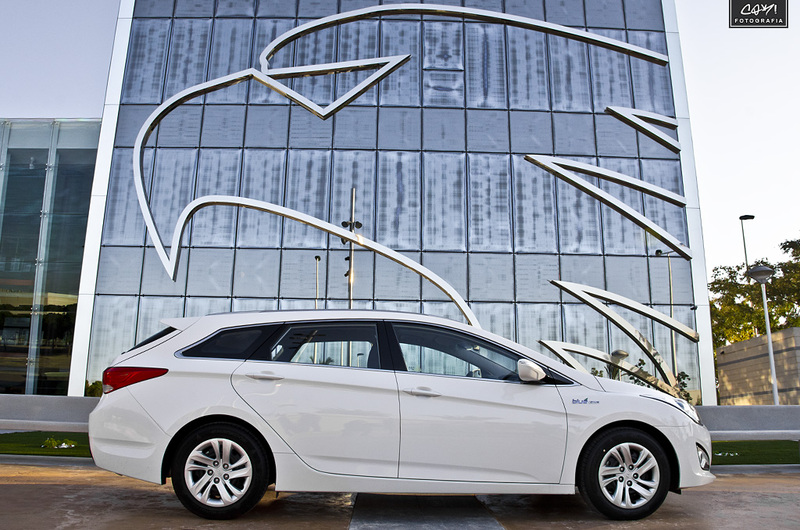 In the i40 sedan there are six levels of equipment: «City», «BlueDrive City», «GLS», «BlueDrive GLS», «Blue Drive Tecno» and «Style». 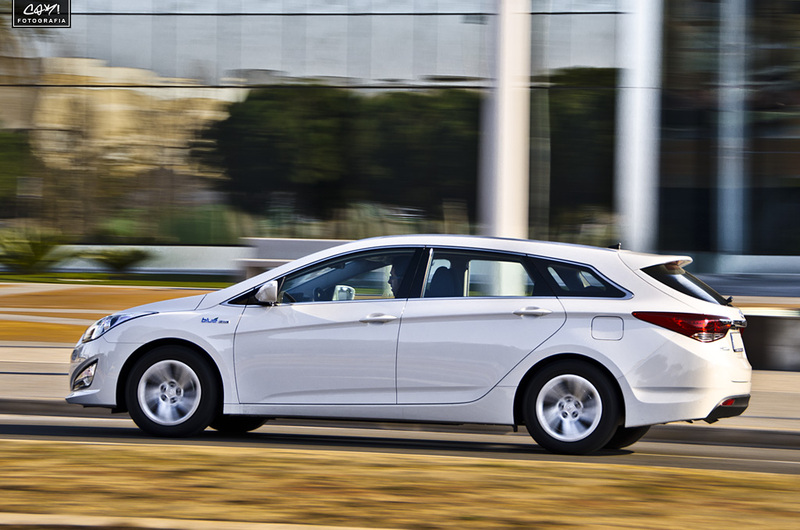 In the i40 CW only three: «BlueDrive GL», «Blue Drive Tecno» and «Style». It is possible to choose colour for the inside —black, white or beige— and twelve colours for the chassis. 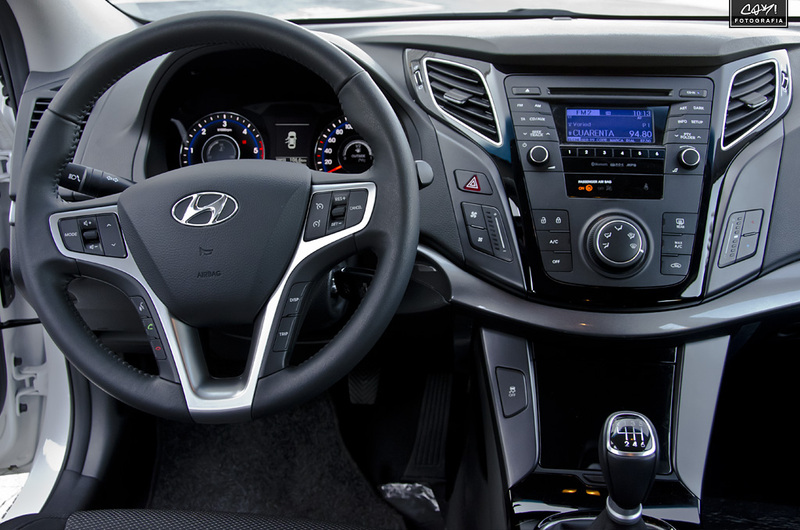 It can built-in unpublished equipment in Hyundai, such as a system to warn about involuntary change of track («lane-keeping assist»), rear camera to help at parking, electric-parking brakes and front seats with heating. They can also have nine air-bags —including one for driver knees—, starting engine assistant in slopes and xenon car lights. 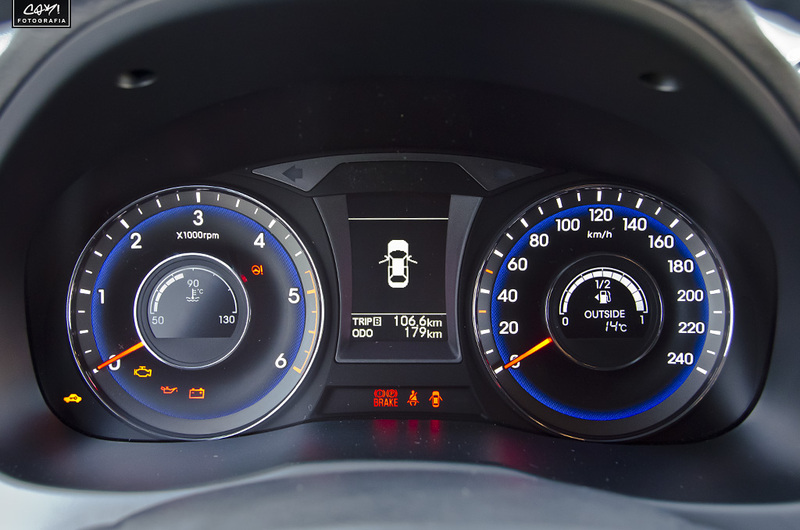 Stability control, included in all of the series, has a function that stops the inner, rear wheel in come curves to ease avoid accidents when speed is high. Alloys are either 16” or 18”. 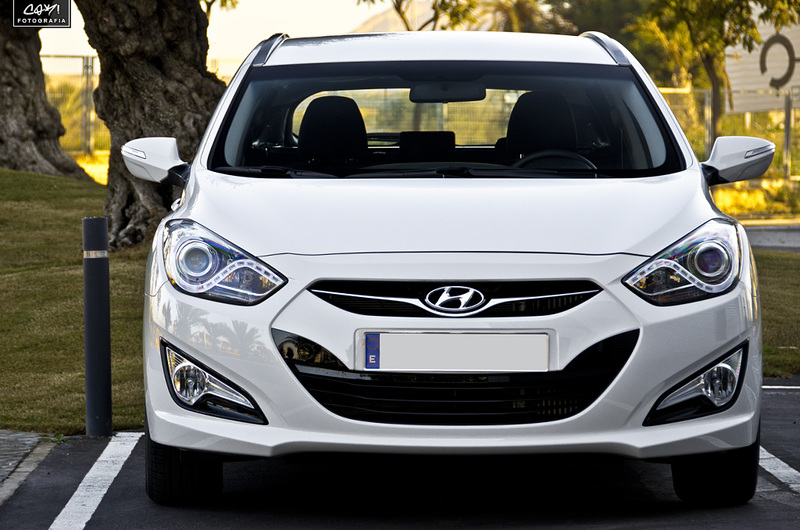 The Hyundai i40 CW is a spacious family tourism, both in the front seats that in the rear. In the former can be accommodated without problems people of different sizes, including larger. The only problem you may have larger passengers if you opt for the panoramic sunroof, some space is left in height. In the back seats are comfortably, two adults can travel up to 1.80 meters because the hollow leg clearance and the headliner in this case is sufficient. 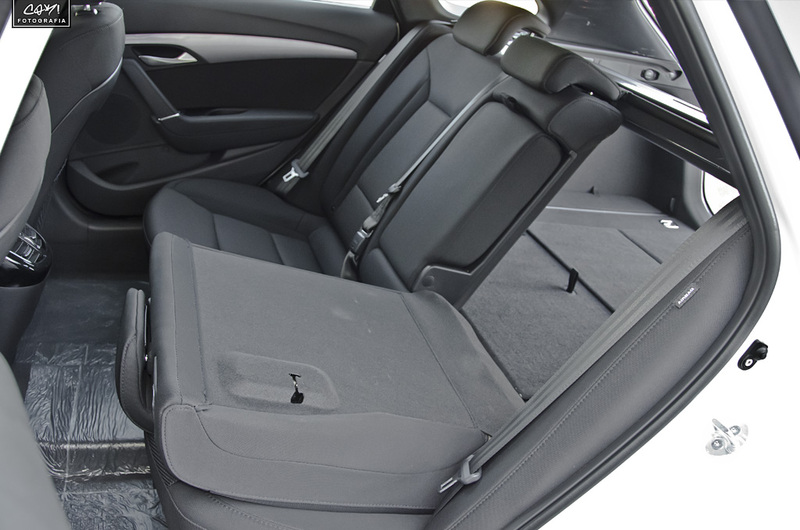 The front seatbacks are shaped so that the knee space is greater. A third occupant will rear it more difficult to feel like at home: their share of the curb is higher and narrower, plus it has less free slot to place your feet by the presence of the tunnel. 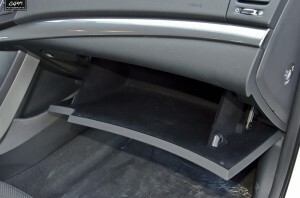 Those traveling behind can have, depending on the version, two air vents and a 12 volt socket for connecting electronic equipment. 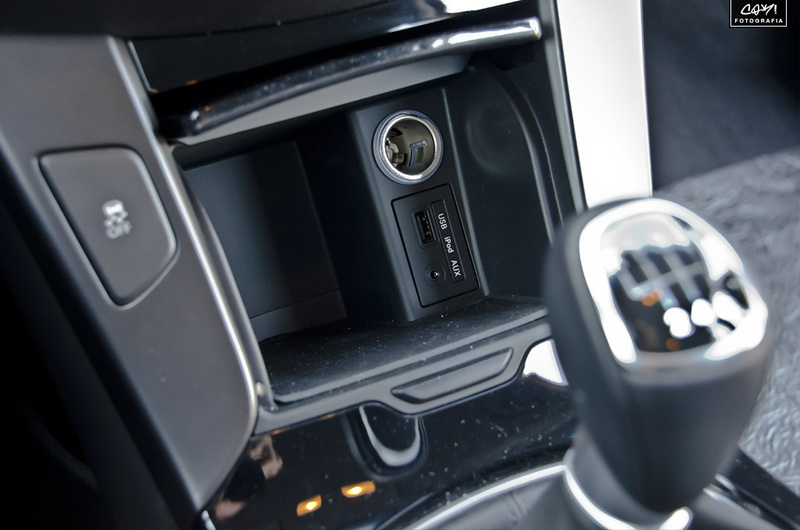 Inside the i40 CW are scattered numerous holes to allow those objects that are often carried over, such as mobile phone or keys. Thus, there are small compartments in the lower inside of the doors as well as against the gearshift. This is a good size and includes a USB connection and one for iPod, and a 12V socket. There is also space to leave certain things under the center armrest and next to the shifter, with a two-drink cans. The glove box is not very large. The rear seat passengers have holes in the doors and the front seatbacks, a network attached to the back, not a hollow part of this and other models. The seats are comfortable, though not much holding the body because its boundaries are poorly marked. 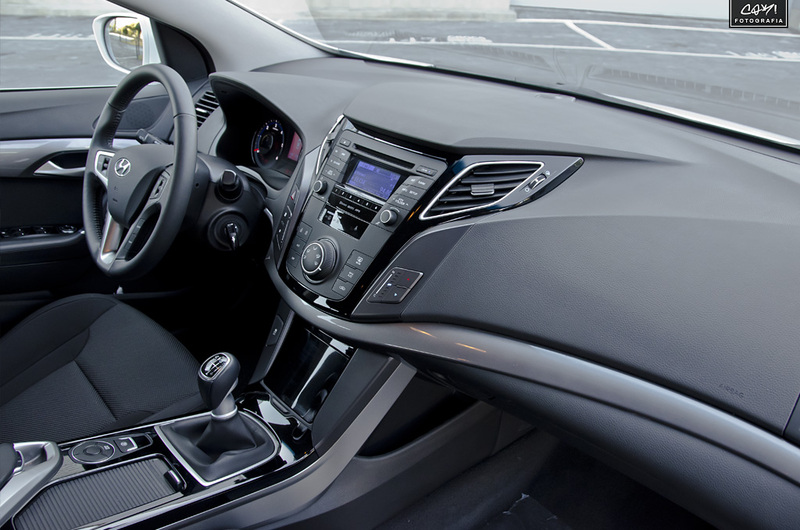 In addition, leather upholstery helps the body to slide on the sidewalk in certain corners. It is easy to achieve a comfortable driving position for the set-wide seat and steering wheel and the correct location of all controls, although the accelerator pedal is very difficult angle on the right, near the upholstery. 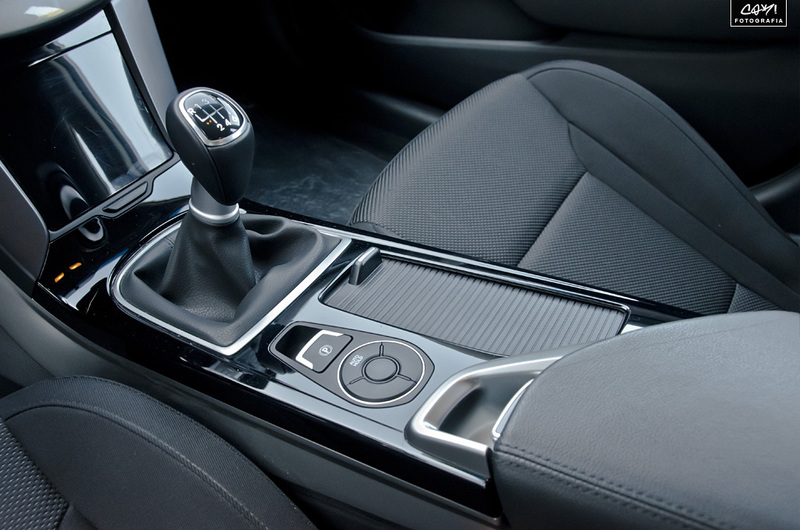 Some drivers may not feel fully comfortable because the pedals will remain some way off if the wheel is placed the correct distance from the body, or it very close to the wheel if you move the seat forward to get closer to the pedals. The dashboard (picture) is easy to read. The display shows the trip computer information. All controls are accessible. 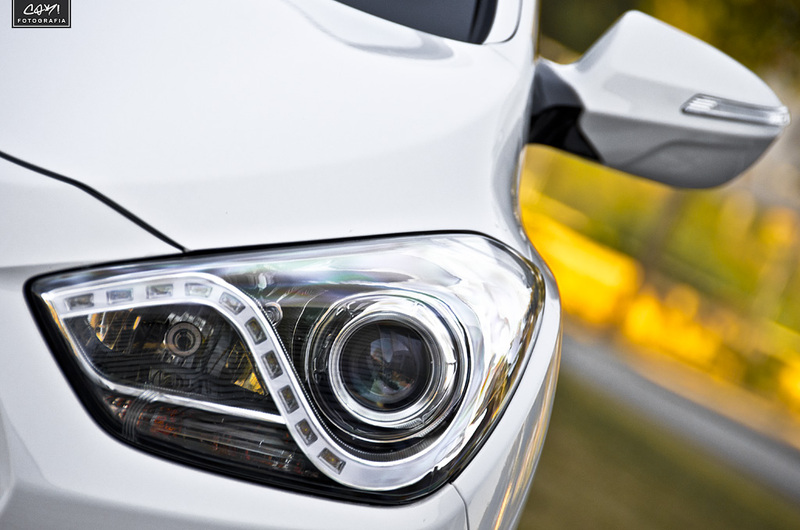 Highlights include the emergency lights (‘warning’) and lockthe locks, located close to hand the driver the right of the steering wheel. 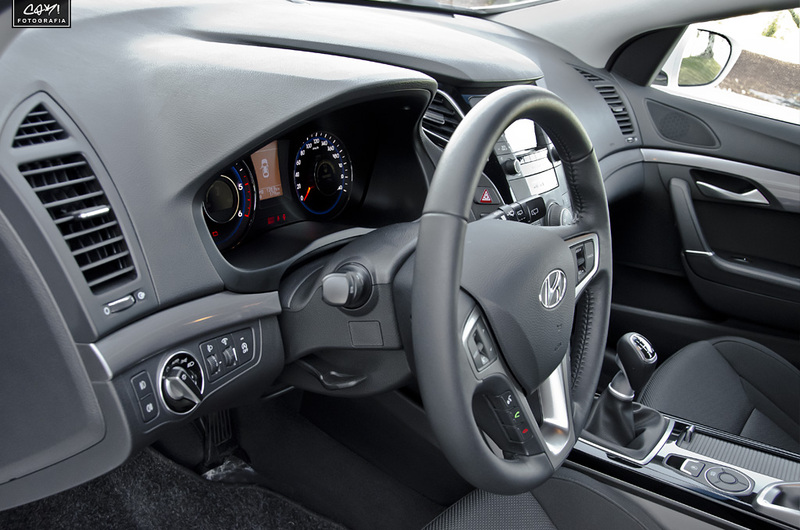 The interior of the i40 CW is made with higher quality materials than other current models of Hyundai-as of early 2012 -. All plastics are nice to touch and sight. There are soft coating materialson the dashboard reminiscent of those of a model of Volkswagen as the Golf. It has a capacity of 533 liters (image) resting -1719 liters if the rear seat backs, in which case a load fund is flat with no step between the trunk floor and upholstery backs. 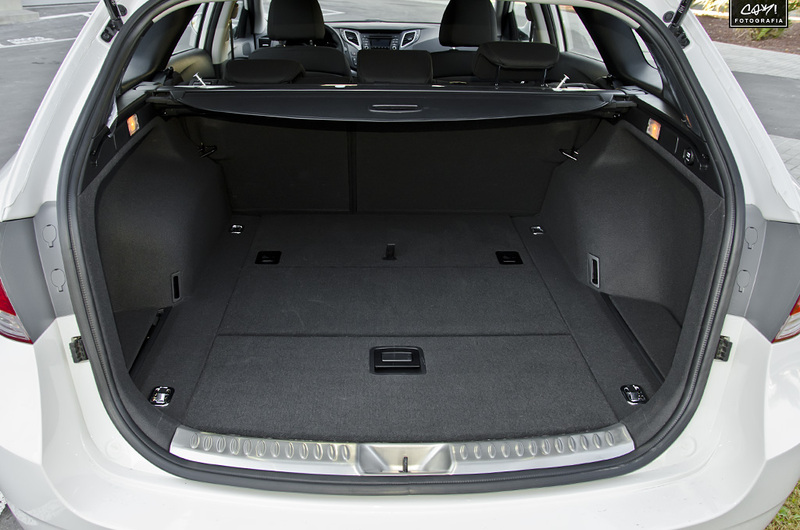 It’s abig trunk, because, actually, including family cars up to 4.85 meters, just more volume available in the Skoda Superb Combi, Volkswagen Passat and the Volvo V70 (633, 603 and 575 liters respectively ). The i40 sedan has 503 liters capacity. 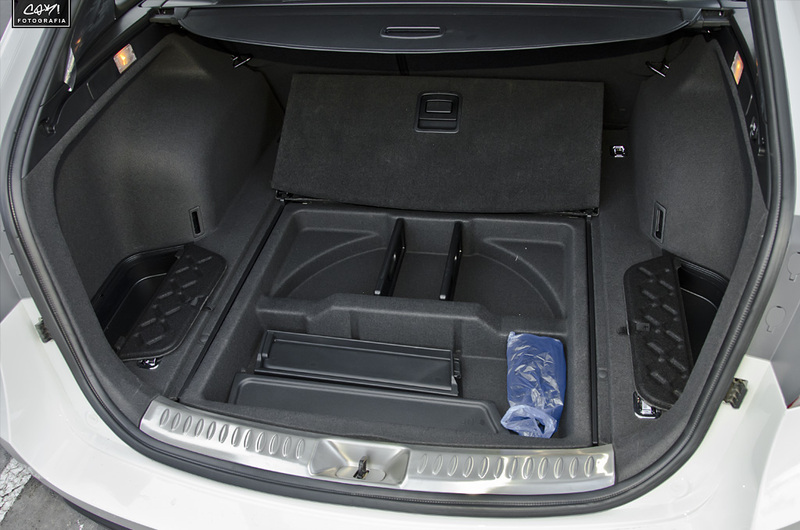 The regular forms of the i40’s trunk favor the placement of the load. The loading opening is flush with the floor (picture). You can have different elements to organize the objects to be transported, as in the side rails on which to set about separating elements to partition the space (shown) or a network for securing the load. Along with the curtain cubreequipaje can put a net that is attached to the roof to prevent a dog go to the seats. When folded remains some space in height. The gate opening and closing can be electric. There are two small areas on the sides of the trunk where leave some tools, emergency vest or other objects. The trunk is illuminated and has a 12 volt socket. There is a double bottom with several compartments (picture). Under it lies the spare tire of a lesser degree than the other four in all versions, one drawback in case of puncture because it allows you to roam above 80 km / h. The trunk is nicely finished, except for the detail that anchors the rear backrest is visible, which does not happen in other models of similar size and price the i40 CW. Engine Alignment : Front Transverse. Bore x Stroke : 77.2 x 90.0 mm. Aspiration : Turbo (VGT) + Intercooler. Front Brakes : Vented Discs (300 mm). Rear Brakes : Discs (284 mm). Front Tyres : 205/60 R16. Rear Tyres : 205/60 R16. Kerb Weight : 1570 kg. Weight/Output Ratio : 11.5 kg/hp. Top Speed : 198 km/h (123 Mph). 0 to 100 km/h (0 to 62 mph) : 10.5 s.
Fuel Consumption* : 4.1L / 5.3L / 4.5L (52 mpg). Fuel Tank : 70 L.
CO2 emissions : 119 g/Km. Four disc brakes including two ventilated discs. 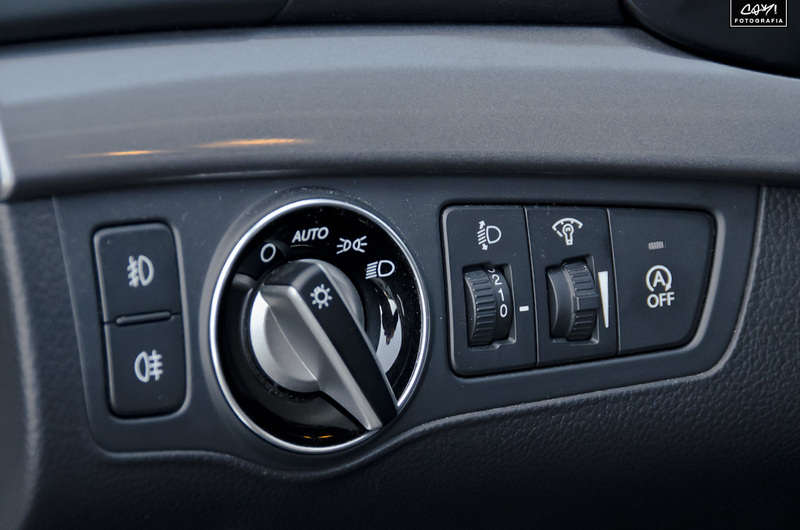 Drivers airbag, passengers airbag with de-activation switch. Height adjustable seat belt with pre-tensioners on drivers seat and front passenger seat. Two head restraints on front seats and rear seats with height adjustment. Seat belt on driver side rear seat, seat belt on passenger side rear seat, 3-point seat belt on central rear seat. Front and rear side curtain airbags. Front side airbag includes head protection. Headlight controlsystems: dusk sensor and height adjustment. Central door locking: Operated by remote Includes windows and dead bolt. Body colour power door mirrors ; heated with integrated indicator lights. Front and rear electric windows with one-touch on one window. Leather covered multi-function steering wheel with tilt adjustment and telescopic adjustment. Audio system with CD player that reads MP3 CDs ; radio receives AM/FM and RDS. Driver and passenger seat: individual type adjustable height. 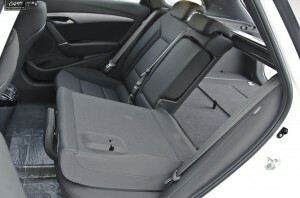 Asymmetrically folding rear seats: bench type with space for three people; reclining with zero electric adjustments. Cloth and cloth seat upholstery. Painted front and rear bumpers. Front and rear tyres: low rolling resistance, 16 inch diameter, 205mm wide, 60% profile (official data). Front and rear wheels: 16 inch alloy rims ; width: 7.0 inches. Special Thanks to Autofima Hyundai and Coki Photography. Watch the First Pilot Episode of Kia TV. 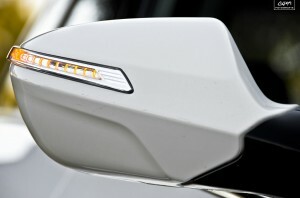 Exclusive: Hyundai Santa Fe/ix45 first official brochure pictures [Updated].